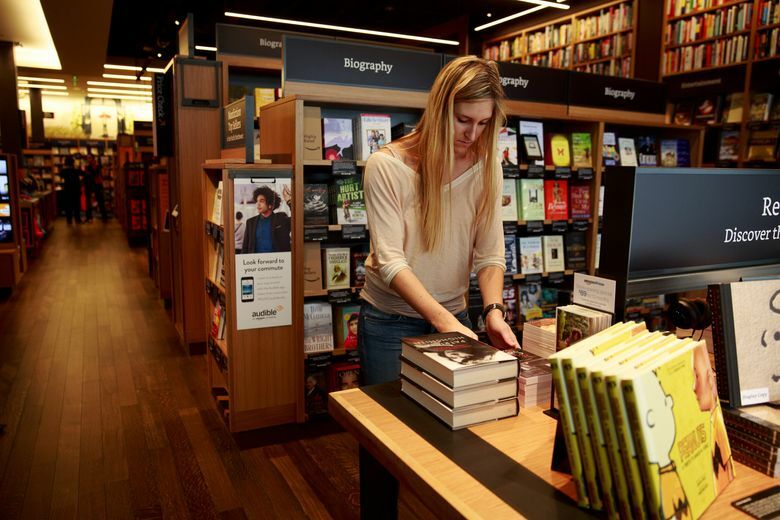 Two decades after it started selling books online, Amazon opens a shopping center storefront with books for sale on actual shelves. 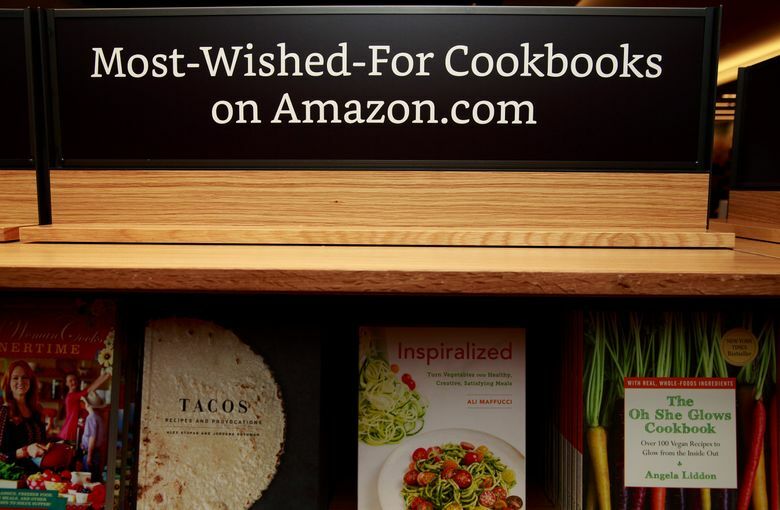 Last month, the online book newsletter Shelf Awareness broke a story speculating that Amazon was developing the store in the former Blue C Sushi location. There is some irony in Amazon’s opening a physical store. For years, it could undercut physical retailers on price because it didn’t have brick-and-mortar locations. But those stores offered something Amazon couldn’t: the instant gratification of owning an item the second it was purchased, as well as the personal touch of a knowledgeable sales clerk. 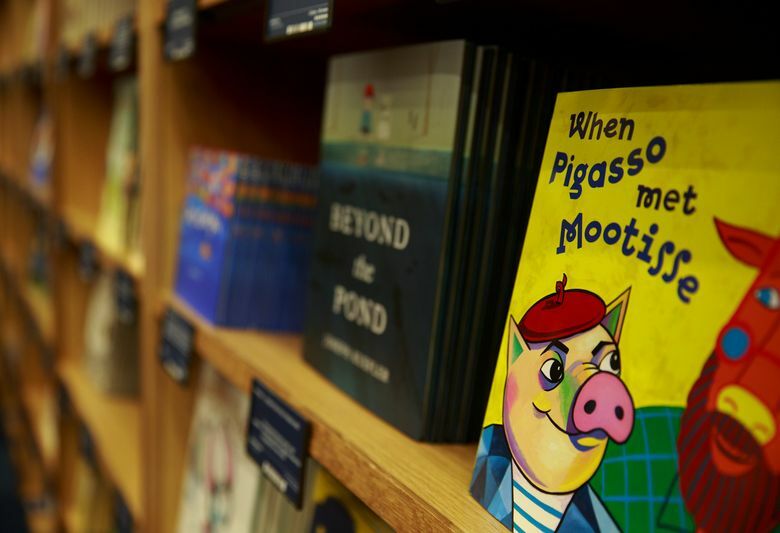 Amazon is betting that the troves of data it generates from shopping patterns on its website will give it advantages in its retail location that other bookstores can’t match. It will use data to pick titles that will most appeal to Seattle shoppers. And that could also solve the business problem that has long plagued other bookstores: unsold books that gather dust on shelves and get sent back to publishers. 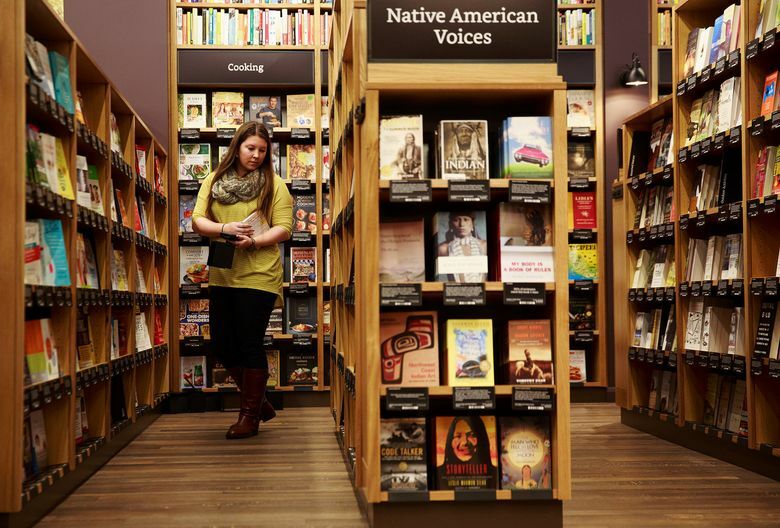 More than most book retailers, Amazon has deep insight into customer buying habits and can stock its store with titles most likely to move. Data only goes so far, though. Book lovers often see stores as a piece of their community. And some blame Amazon, and online retail more broadly, for the slow demise of independent booksellers. 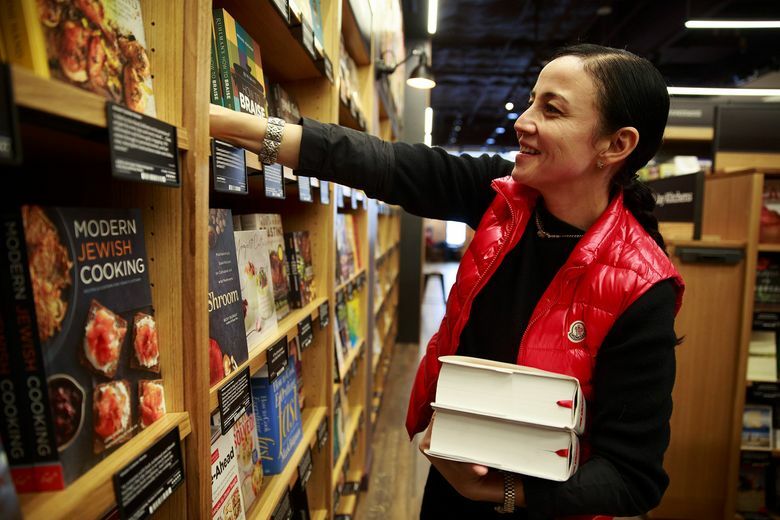 Jennifer Cast, vice president of Amazon Books, is careful to say the store won’t be stocked solely on data. Some of that data includes reviews from the millions of Amazon customers who have left appraisals of books on the website. Below each book on the shelf is a card with either a review or a rating from the site. And the company also has included a staff-favorites section that will change from time to time. For the opening, the section includes a few of Amazon Chief Executive Jeff Bezos’ favorite titles, including “The Gift of Fear” by Gavin de Becker, “The Five Love Languages” by Gary Chapman and “Traps” by his wife, MacKenzie Bezos. “A page-turner written by an award-winning novelist, who also happens to be my wife,” Bezos writes. The review cards are similar to the staff-favorite notes found at many bookstores. But Cast believes that having comments from passionate readers adds a wide range of voices recommending titles. Amazon’s customers help select books for the store in other ways as well. The new store includes, for example, “Bald, Fat & Crazy: How I Beat Cancer While Pregnant with One Daughter and Adopting Another” by Stephanie Hosford, a title that ranks 622,923 in books sold on Amazon. But those who have read it seem to love it. The book has a 5-star rating from all 56 customers who have reviewed it on the site. One other way the store, with 5,500 square feet of retail space and 2,000 square feet of storage, is distinct from traditional bookstores: Every book will face out, rather than be stacked tightly with only their spines showing. That leaves far less space for books. But Cast said Amazon wanted to showcase authors and their work, rather than cramming as many titles as possible on shelves. “We realized that we felt sorry for the books that were spine out,” Cast said. 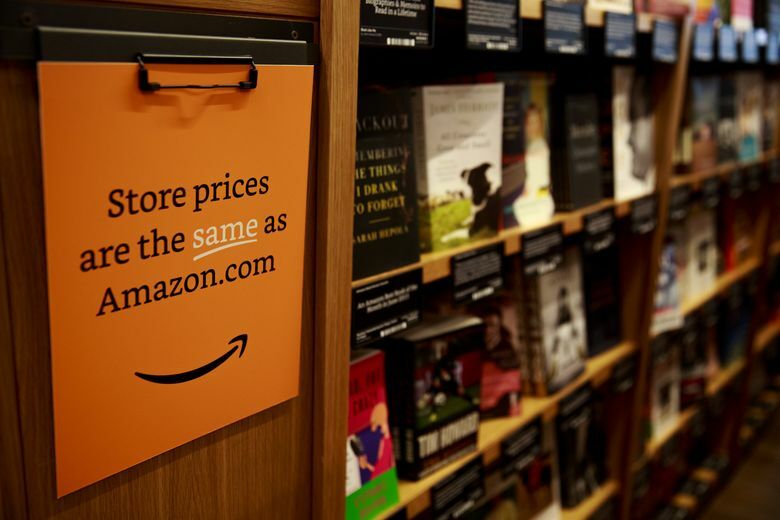 Amazon will charge the same price for books in the store as it does online. It had reached out to sales staff at local stores, such as Third Place Books, to work at the new store. 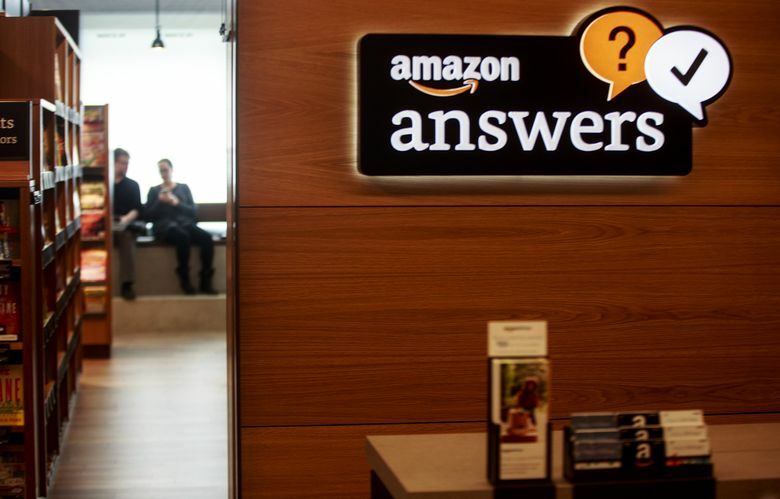 It wound up hiring 15 employees, including librarians, retail clerks and even a receptionist from Amazon who loves reading. Ever since Shelf Awareness broke the story about the possibility of Amazon’s opening a retail store, there have been many rumors and much speculation about what it would be. The store will not be a location to pick up Amazon orders. 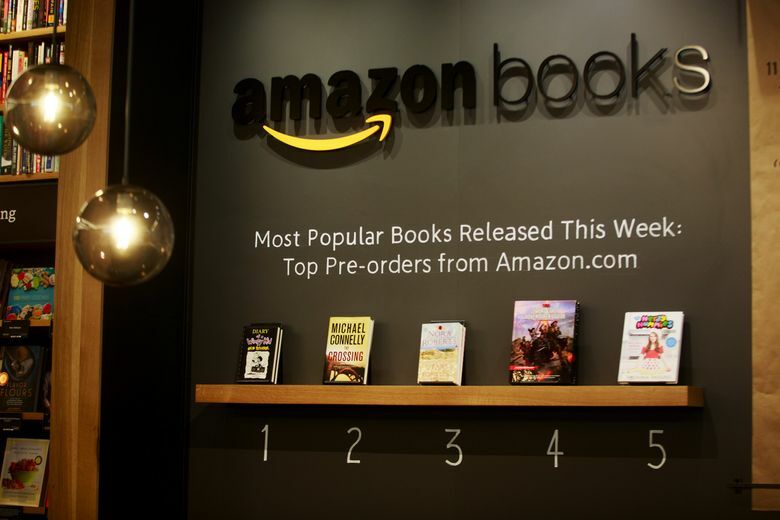 It won’t be a showcase for Amazon Publishing imprints, whose titles often aren’t picked up by the company’s retail competitors. 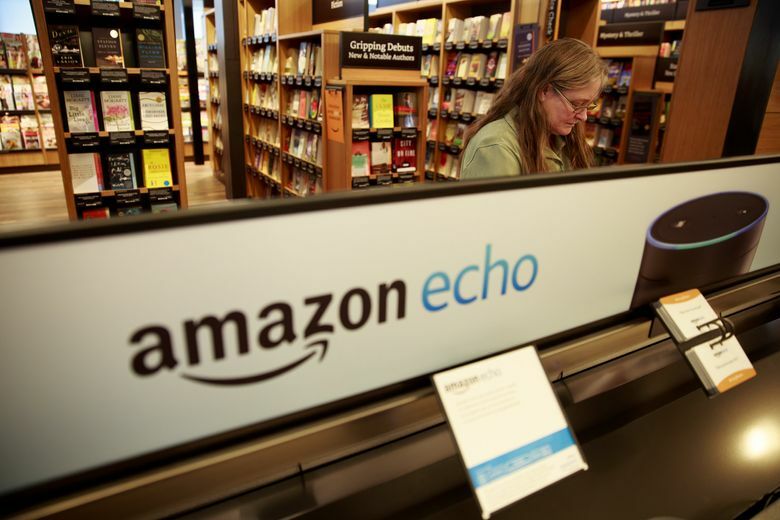 And while the store will showcase some of Amazon’s gadgets, such as its Kindle e-readers, Fire tablets and Fire TV streaming-media devices, it will be first and foremost a bookstore. “Our goal is to do a great job selling lots of books,” Cast said. 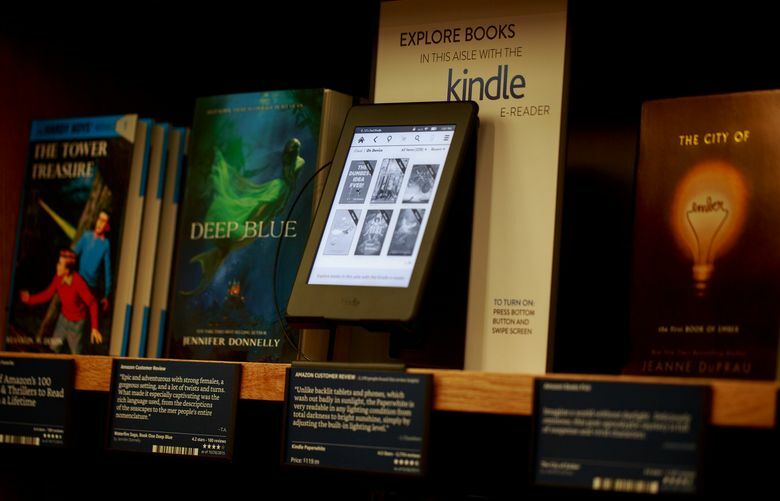 Amazon has opened pop-up stores over the years to sell its Kindle devices. 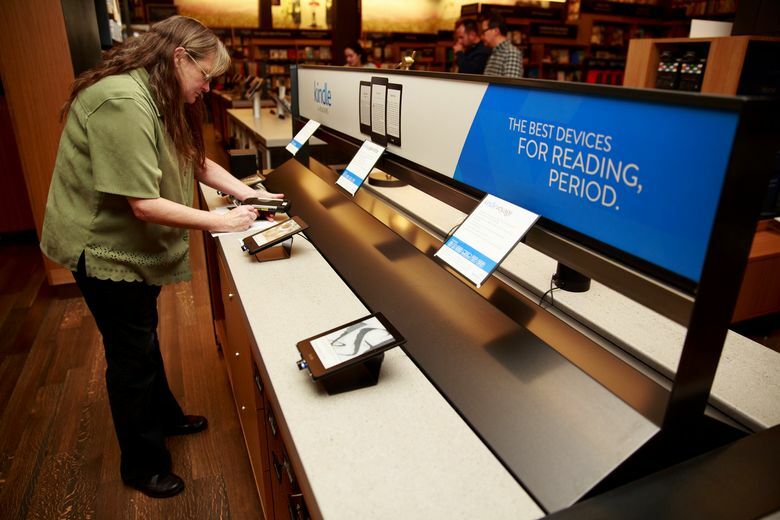 And it’s been replacing bookstores on college campuses with pickup locations, where students can retrieve orders. 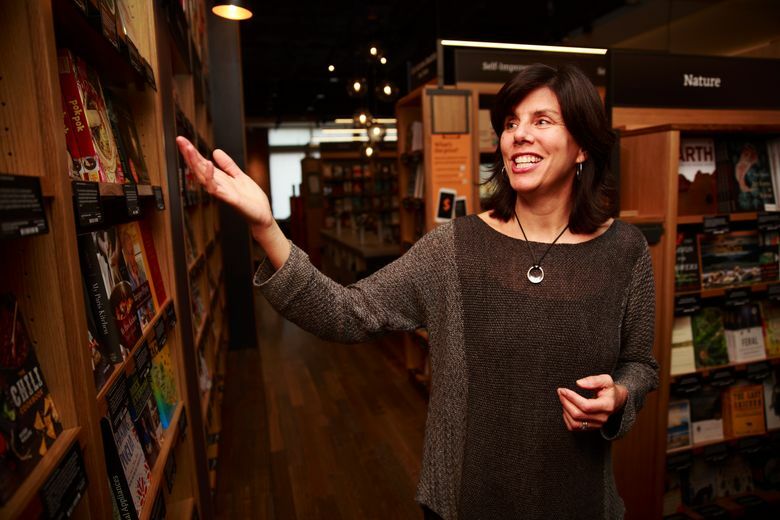 The company chose Seattle for its first physical bookstore because it’s close to Amazon’s headquarters and because Seattle is a top market for readers. Cast declined to detail future plans, including additional locations.